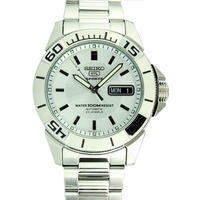 MChrono offers the Seiko Men's 5 Watch SNKL89 for $54.95. 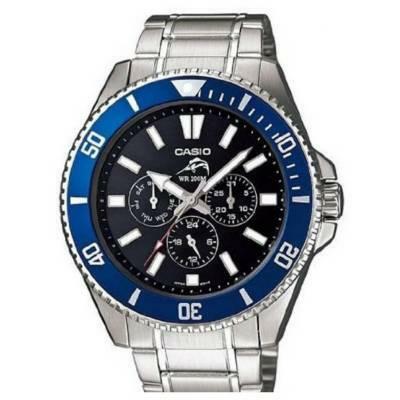 Today only(4/1), MChrono offers the Casio Men's Duro Diver Watch MDV303D-1A2V for $71.85. 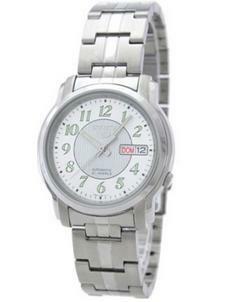 Features: Stainless steel case measures 43mm diameter by 12mm thick.Sturdy link bracelet includes a push button deployment clasp.Water resistant to 200 meters. Today only(11/13), MChrono offers Select Watches from $39.98. MChrono offers the Timex Women's Elevated Classics Gold-Tone Watch T2N965 for $29.98. Features:quartz movement, mineral crystal,indiglo night-light, brass case, and water resistance up to 100 feet. 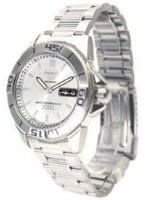 MChrono offers the Casio Men's Stainless Steel Watch, model no. MDV303D-1A1V, for $64.38. 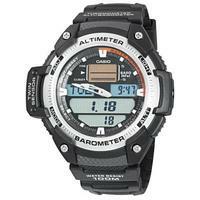 MChrono offers the Casio Men's Multi-Function Sport Watch, model no. SGW400H-1B, for $49.95 . 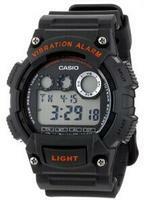 MChrono offers Casio W735H-8AVCF Men's Digital Vibration Alarm Black/Red Accents Watch, for $23.99 with free shipping. Features: a vibration alarm, 10-year battery, button tones, automatic calendar, stopwatch function, second time-zone display, and water resistance up to 100 M.
MChrono offers the Seiko Men's 5 Sports Automatic Watch, model no. SNZE05, for $118.95. Feature: stainless steel case and band, 23-jewel automatic movement, day and date window, and water resistance to 300 feet. 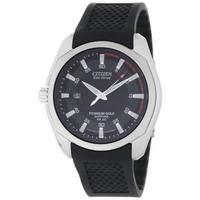 Jomashop via eBay offers the Citizen Men's Eco Drive Watch, model: AT4008-51E, for $249.99 with free shipping. Features: Light-fueled Eco Drive power, Japanese quartz movement, a stainless steel case and band, and water resistance to 660 feet. MChrono offers the Timex Women's Automatic Rose Gold-Tone Watch, model no. T2N352, for $62.40 with free shipping. Features: rose gold-tone highlights, automatic movement, stainless steel case, cream white leather strap, and water resistance to 164 feet. 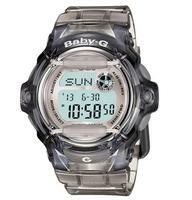 MChrono offers the Casio Women's BG169R-8C Baby-G Gray Whale Digital Sport Watch for $58.65 with free shipping. Features: a resin case and band, quartz movement, and water resistance to 660 feet. 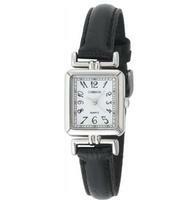 MChrono offers the Carriage by Timex Women's Two-Tone Watch C3C363 for $22.46 with free shipping. Features: a stainless steel two-tone band, metal case, quartz movement, date display window, and water resistance to 30 m.
Ending today (4/30), MChrono offers the Carriage Women's Silver-Tone Watch, model no. C2A901 for $26.98 with free shipping . 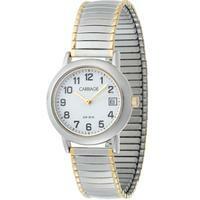 Features: quartz movement, leather strap, stainless steel case, and water resistance to 330 feet. 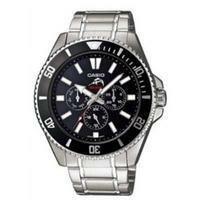 Mchrono offers the Seiko Men's 5 Sports Automatic Watch, model no. SNZE05, for $118.95 with free shipping. 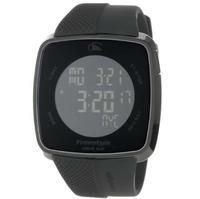 MChrono offers Freestyle FS84915 Mens Watch in Black, for $58.95. Features: a stainless steel case, silicone strap, Scratch resistant mineral crystal, quartz movement, and water resistance to 100m. 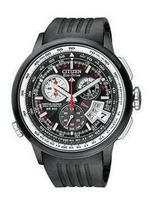 MChrono offers the Citizen Men's Eco-Drive Chrono AT Watch, model no. BY0005-01E, for $342.49 with free shipping. Features: solar Japanese movement, glow-in-the-dark hands, black rubber band, world time, perpetual calendar, and water resistance to 660 feet. 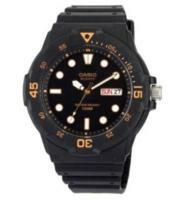 MChrono offers Casio Men's Sport Analog Dive Watch in Black, model no. MRW200H-1EVCF for $16.95 with free shipping. Features: Large case with black resin strap, Day and date display at 3 o'clock, bi-directional bezel, and water resistance up to 330 feet. 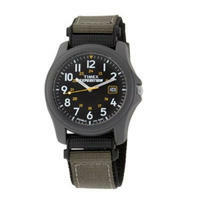 MChrono offers Timex Men's Camper Expedition Watch for $27.65 with free shipping. Features:quartz movement, resin case, nylon strap, and water resistance to 165 feet. 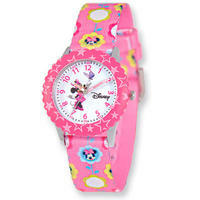 MChrono offers Disney Kids Minnie Mouse Printed Fabric Band Time Teacher Watch for $23.95 with free shipping. 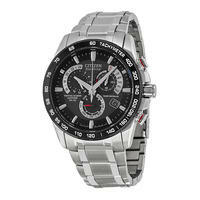 MChrono offers Citizen BM7120-01E Mens Titanium Golf Eco-Drive Watch for $155 with free shipping.